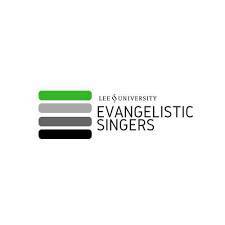 We, the Evangelistic Singers of Lee University, would like to invite you to a mass call to prayer. Specifically, we would like to target covering all members of the ensemble that are currently participating in traveling ministries, as we spread the Gospel of Jesus Christ all over the world. In this year, not only will we be traveling around the United States; but, we will also be going to Port au Prince, Haiti! As we are spreading the gospel, we would like to see actively where our prayer wall is coming from. Please comment and let us know you are partnering with us and covering us in prayer. We would like to thank you and our alumni for making our travels possible. Without prayer, time, and all that you have given to us; we would not be where we are today. It is by the grace of God that we spread His good word and as long as He tarries , we will continue. We thank you again and leave you with our defining scripture: "And it shall come to pass in that day, that his burden shall be taken away from off thy shoulder, and his yoke from off thy neck and the yoke shall be destroyed because of the anointing." (Isaiah 10:27).